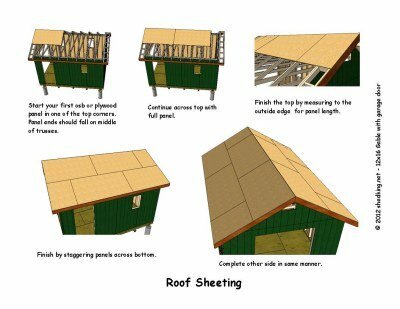 These plans are very detailed and I have tried to make every phase of the construction process as easy as possible for the diy shed builder. 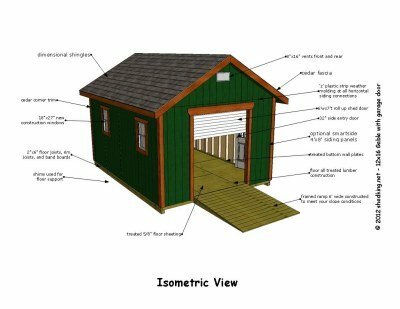 Here's an example below of one of the plan pages that features an isometric view of the shed with all the parts and pieces labeled. Included with the plans is a materials list that is broken down by project phase and gives grand totals on all materials needed. Just take this list to your favorite lumber store and have them give you a quote. Or, take this shed materials list to more than one lumber supply store and get several estimates and go with the best price estimate! 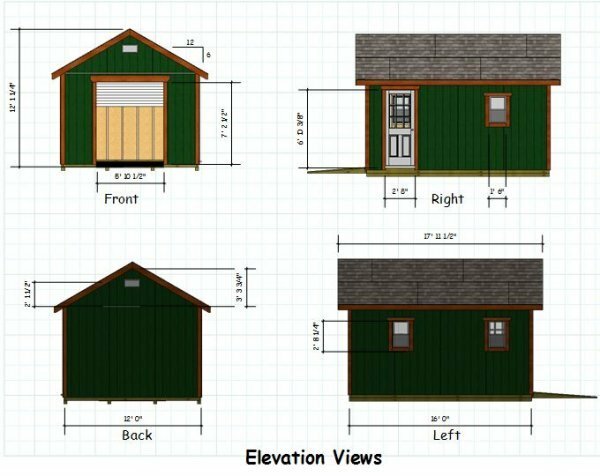 Purchasing These 12x16 Gable Shed Plans with Garage Door. 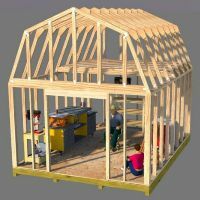 These plans also include an interactive 3d pdf file located at the end of the plans that allows you to go to any phase of construction of this shed and zoom in on any part or piece of shed construction to clear up any confusion about the building of this storage shed. Your adobe pdf reader will need to be version 10.0 or higher. You can download an updated version here. Plan purchase also includes email support from me, John, the shedmaster here at shedking.net. 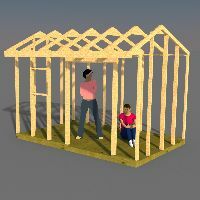 You can contact me with any questions you have about anything associated with the construction of this backyard shed and I will be happy to answer it for you. 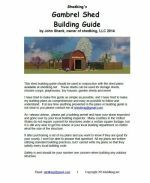 Plans are available for immediate download after purchasing through paypal and are in pdf format. 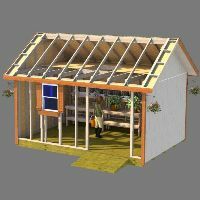 Please make sure your email service will accept email from shedking.net or e-junkie.com, our company we use that will email you the automatic download link for your shed plans. Purchase for $8.95 can be made securely through paypal by using the 'Buy Now' button below.